Google Shopping Ads are a smart way to generate massive sales for your e-commerce store. Often over-looked as a viable traffic source, they present your products front and center to willing buyers. 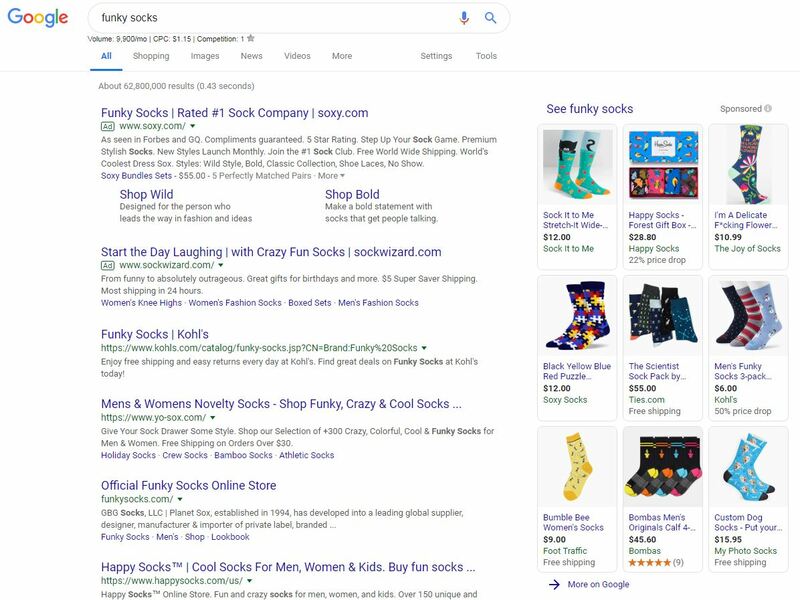 Google Shopping Ads are advertisements that showcase products for specific search queries directly on Google’s platform – without the need of clicking through to a website. They can either be located on the top of the search results or on a full panel to the right. The lone images on a page full of text make users look before reading. Google Shopping Ads are managed through the Google Ads platform via the Shopping campaigns. We utilize your existing Merchant Center product data to decide on optimal display strategies. We use the product data in the Merchant Center, such as product details, to calculate relevancy. To get started, you’ll send us your product data and we’ll create your campaigns in AdWords. We work with you to determine which products to display along with their image, product descriptions, price, and copy. We want to qualify customers using this information before they click on the product to make sure that you are paying exclusively for highly interested customers.